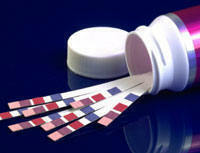 Kinematic Automation manufactures equipment for rapid diagnostic test strips. Kinematic Automation is a leading innovator of automated manufacturing systems for production and packaging of medical devices. With over thirty-five years of experience and installations worldwide, Kinematic Automation draws on the broad experience and technical expertise to develop successful solutions to difficult product challenges. Kinematic assists companies in product design, design of automated production systems as well as installation, training and follow-on customer support. Solutions include precision cutting and highly precise placement, material handling, assembly, testing and data collection. Tight schedules, changing product specifications, budget constraints all add to the complexity of bringing a new product to market. Kinematic Automation personnel understand these challenges and work closely with our clients to overcome such obstacles. 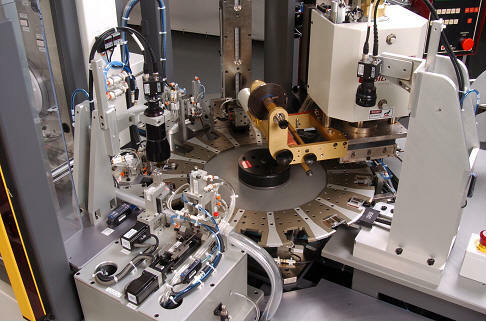 One unique service of Kinematic Automation is to assist with product design to insure manufacturability. 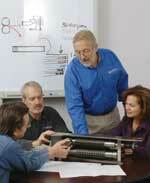 Early involvement within product development insures proper manufacturing specifications. Our expertise in materials, material handling and production processes can be invaluable to a complex and time sensitive to a complex and time sensitive project. Built in our state-of-the-art manufacturing facility and installed at your production site - on time, on schedule and on budget. Depending on your automation requirements, Kinematic Automation can provide you the appropriate solution. Single station or multi-station platforms, manually assisted or totally automated production lines, Kinematic Automation has the experience to insure the success of your project. Clients also rely on Kinematic to integrate our patented cutting and material handling technologies into standard automation platforms to achieve higher throughput, and increased serviceability of their systems. Kinematic Automation installs the automation platform and trains operators and maintenance personnel on the capabilities of the equipment. Trained Kinematic technicians provide support to insure smooth operations. Kinematic Automation also offers spare parts and a customized maintenance program to keep the equipment at peak performance. When you think automation… Think KINEMATIC.